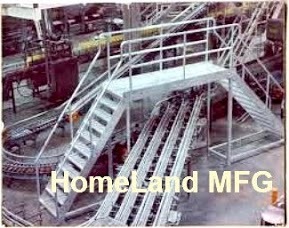 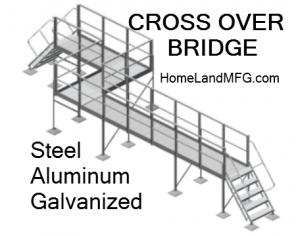 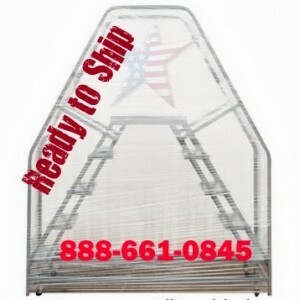 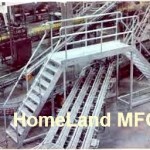 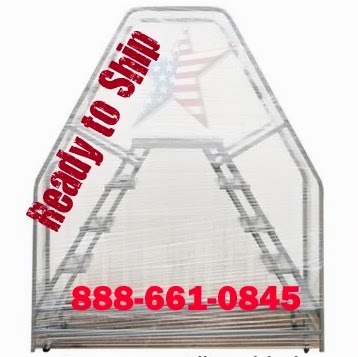 Homeland Manufacturing, Inc > Rolling Ladders Buyers Guide > Crossover Ladders, Work Platform Ladders. 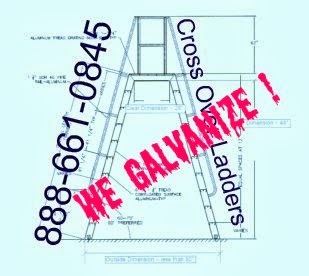 Crossover Ladders, Work Platform Ladders. 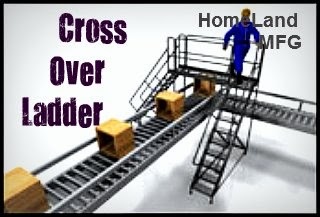 CROSSOVER LADDERS From Your Concept or Drawing. 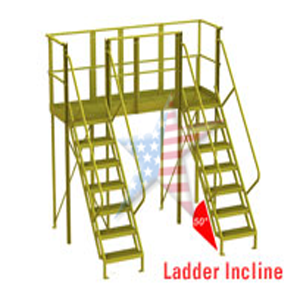 We Build by OSHA Safety Compliant Regulations. 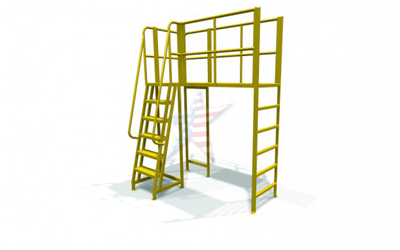 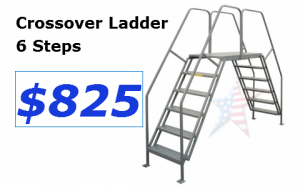 Crossover ladders selection is one of the most important factors in helping ensure workplace safety specifically when the job requires the use of a specialty ladder.We offer professional help in selecting the correct ladder or platform. 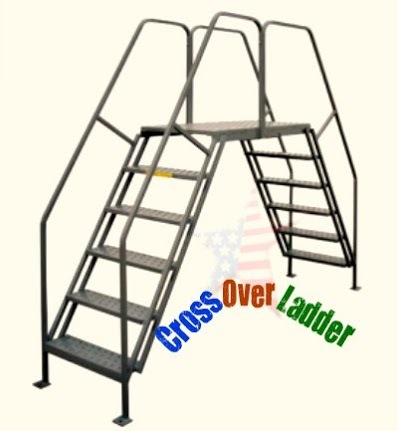 Today, selecting the right ladder for the job is increasingly more challenging as a result of the proliferation of different styles, configurations, features, materials, etc… In addition, with the growing trend toward e-commerce procurement, navigating websites increasingly makes it more difficult during the selection process. 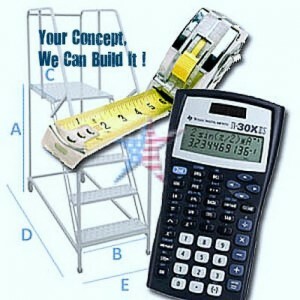 U-Design Configurable Products addresses both of these selection issues by providing a simple step-by-step selection process on a single catalog page and or web page that will result in a more pleasant customer experience and a satisfied customer with the right ladder to safely work from. 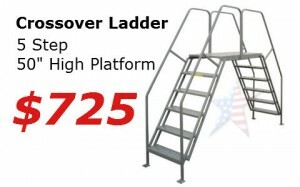 Our Cross Over Ladders Can be Made For In-Doors or Out-Doors. 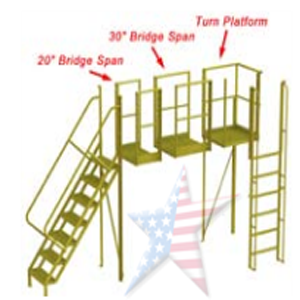 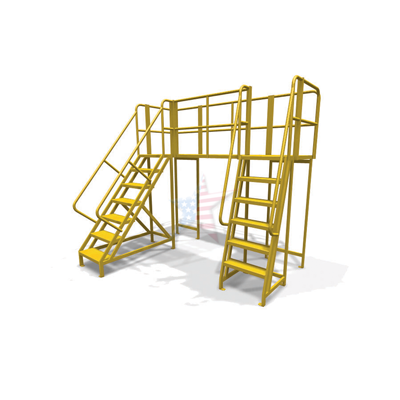 CROSSOVER BRIDGE LADDERS (or crossover ladders), have seen much use for crossing over pipes, wiring, assembly lines & other obstacles. 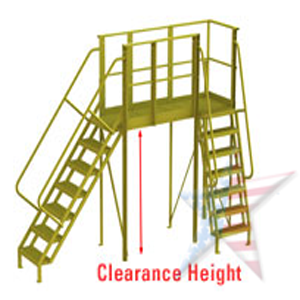 We offer our design in many sizes to clear obstacles of various heights and lengths. 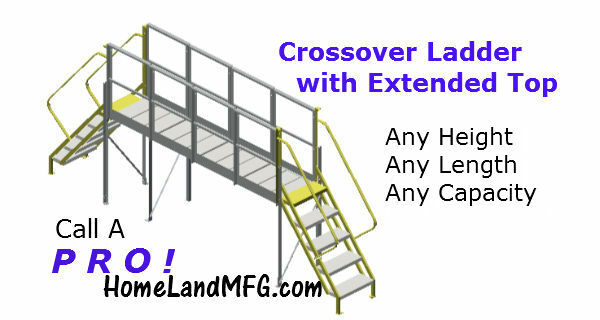 On a daily basis we also design crossovers to meet customer’s specific needs. 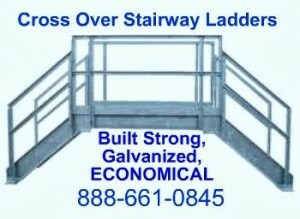 Roof Obstacles? 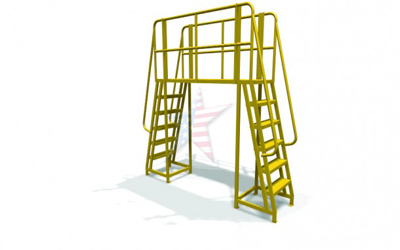 Maybe a 10 foot Obstacle height Challenge? 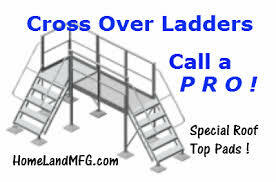 Call a PRO for Advice !